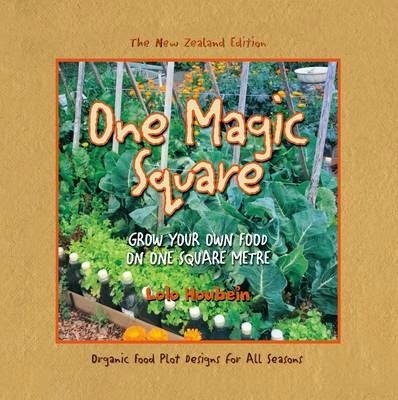 My current preoccupation with gardening has led me towards a wonderful book called One Magic Square. I loved it. "During 1944 and 45 I endured the wartime famine in Holland and, at 175 centimetres tall, was reduced to 34 kilograms of bone and sinew. I carry an abiding memory of my hometown, Hilversum (population 80,000), breaking down as war action cut off the region. All trees became firewood, as did door, cupboards, furniture and fences. Cats, dogs and rabbits disappeared. I starved rather than eat our rabbit, Trudy. Mice, rats and birds went into the pot. Rivers were fished out. We at sugar beet, which was normally pig fodder, and tulip bulbs, which made me ill. I dug for grass roots under the snow to steady my stomach." I, too, would be obsessed with making sure I had enough food, if I had been through that. Enough food even if civilisation broke down, that is. The concept made me even more worried about the white butterfly caterpillars consuming my winter vegetable seedlings. Only a few days later the solution presented itself to me. I was walking along a road with literally thousands of other people, accompanying the children to Hamilton's annual Nightglow, a highlight of our hot air balloon festival, where the balloons light up at night, there's lots of music and fireworks. No one else seemed to want the table on the side of the road. The people in the house next to it confirmed it was out there because they wanted someone to take it. They put it behind a tree for me and I picked it up on the way back to the car. You've got to be bold, folks, if you want stuff for free. Plus friendly and polite, of course. 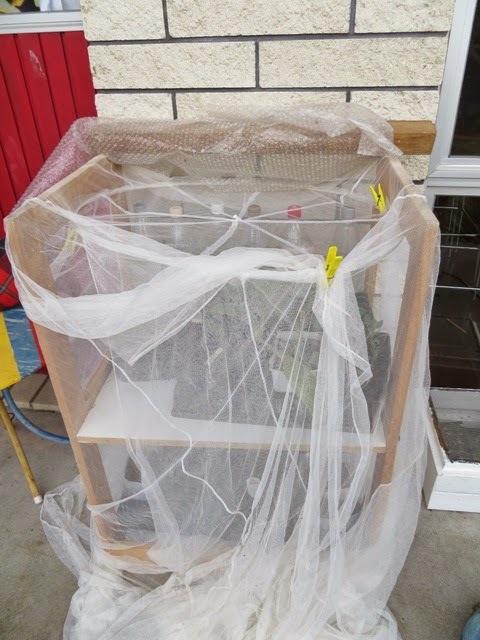 ...upside down and draped with a mosquito net - my perfect little seedling table. The water-filled drink bottles on the shelves to moderate the temperature (I need more), and it sits on a sheltered, sunny porch. It works a treat! 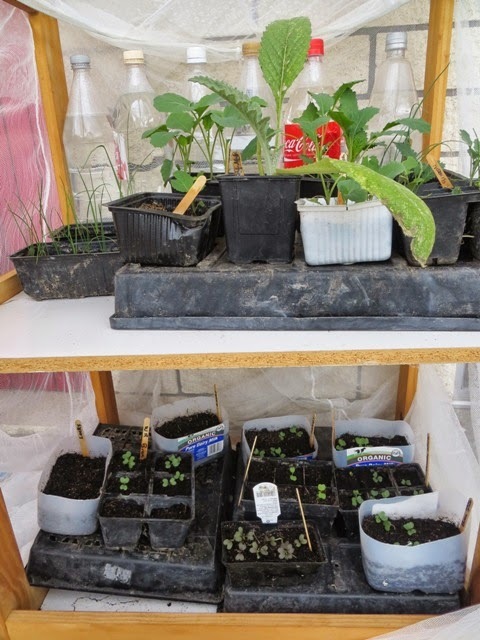 There will soon be about 20 broccoli seedlings and lots of other things in the garden to tide us over winter. The Magic Square book, by the way, is not only compelling, but one of the best practical gardening books I've read. ps sorry this post comes after such a long break. I struck a roadblock when I realised I cannot import photos from my camera to the computer! I'm having to do it a very second rate way.